This is a super new little piece of jewellery - and one I have a feeling will be VERY popular. 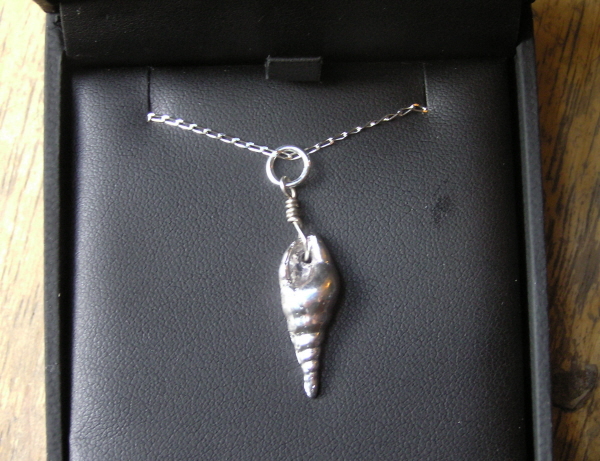 A solid silver tubular style shell strung as a necklace on an 18 inch sterling silver curb chain. Beautifully boxed in a lovely black, velvet lined jewellery box. The shell measures 2cm across.